Triple-A Nashville's redesign, its second in four years, pays tribute to the city's baseball roots and Tennessee's state identity. 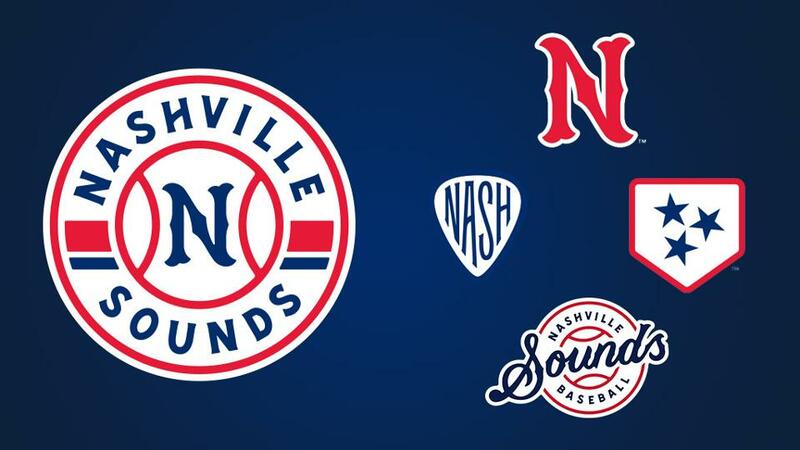 In Minor League Baseball's current era of the most experimental -- and at times controversial -- rebrandings in sports, the Nashville Sounds are playing the hits. At a team event dubbed "Remastered" on Thursday evening, Nashville unveiled its newest look. While hosting Texas Rangers luminaries such as co-chairman Ray C. Davis, chief operating officer Neil Leibman, Hall of Fame catcher Ivan Rodriguez and current Rangers Isiah Kiner-Falefa and Willie Calhoun, the club's new Triple-A affiliate put on a show. Nashville revealed its new logo suite and four uniforms -- home, road and two alternates -- before a runway performance showcased merchandise for fans. "Now that we've settled into this area with its rich baseball history, we wanted a classic baseball look that reflected those baseball roots," Sounds' director of marketing Alex Wassel said, referring to his team's move to First Tennessee Park in 2015. "It kind of expands upon our current look, which is more Broadway-centric. That's the main tourist strip here in Nashville where there's a bunch of honky tonks and live music, and it's very much Nashville. But there's more to Nashville than just that strip here in town, so we wanted a mark that embraced all of Nashville." Four years ago, the Sounds introduced a revamped look to coincide with the opening of their new ballpark in the Sulphur Dell neighborhood, the same area that hosted the Minors in an eponymous stadium from 1870-1963. That 2015 change capitalized on Nashville's popular image as the Music City, with guitar and pick-centric logos around a country-stylized script. This latest remix, produced by Hattiesburg, Mississippi-based RARE Design, has similar traits but ones that grow from a more granular, Nashvillian place. "They've been known for doing a lot of the NBA [redesigns] with the Atlanta Hawks, Minnesota Timberwolves," said Adam Nuse, Nashville's general manager and chief operating officer. "When we started looking at all the options out there, our eyes gravitated a lot toward what the NBA is doing. I think the NBA has done a great job with their look and hitting the younger, millennial crowd. "It's just a good, clean, fresh look. At the point of us doing this, [RARE] hadn't done a baseball team. Now they've got a couple of Major League Baseball teams they're working with, and they did a great job for us. Our goal is to have that big league look, that NBA, Major League Baseball, NFL kind of look that fits with everything else here in Nashville." The new Sounds primary mark is a roundel (or disc-shaped logo) with subtle nods to its city and state -- a common theme throughout the set. "It's a simplified logo, our primary," Wassel said. "We like to think it's a more classic look. It's pure baseball. The stripes on the logo, those are pulled from the Tennessee state flag. Our colors touch on our Tennessee state pride and flag as well as [being] kind of a modern take on our original colors from 1978, which were red, white and blue." The logo's striking similarity to a record label design wasn't an accident. "We actually got a vinyl record produced with that primary mark in the center," Wassel added. "It's a giveaway item for our event in tandem with our retail. If you buy X-amount, you get the vinyl record with the primary on it. There's actually music on it featuring our live organist here in-park. "[Roundel logos] were really popular back in the '60s and '70s, and they went through a lull. There's been a resurgence in recent years, and it plays with the theme of going back to our roots to have that included in our logo spread." The team's unique script features a salute to Nashville's baseball heritage. The original Sulphur Dell ballpark featured a famous hill that stretched from the right-field foul line all the way to left-center. The bars in the "A" and "H" slope upward in homage to that rise. The circular design is also a much easier element to utilize in graphics and on merchandise. "That was a big priority," Nuse said. "Some of the things we learned from our old look four years ago, there were a lot of challenges from a merchandise standpoint but also from Alex's standpoint from marketing and materials. Having a good circular look was something that we were missing and something that was a top priority as we were diving into this." The lockup is another take on the themes of that primary logo. It features the "Nashville" script paired with "Baseball" around a differently stylized "Sounds" mark featuring an "S" suggestive of a reversed treble clef. The team will incorporate an alternate insignia again patterned after the Tennessee flag with the state's iconic three stars inside a home plate outline. "Everybody is regionally prideful of where they're at, and that's no different here in Nashville," Wassel said. "Everyone's got the Tennessee state flag hanging off their house or apartment, so it made sense to us to incorporate that into the tri-star plate logo. That represents home, so that's fitting. "If you look at our logo spread, we don't have any characters. Maybe you could call that one our character mark. It's going to be a mark for us to represent the Sounds without saying it, so we're excited about that one." The club's new jerseys feature six thin stripes along the shoulders, representing guitar strings for the Music City. "The goal was to have something that could last 15, 20 years, hopefully even longer than that," Nuse said. "Going back to a good, classic, Major League look, you look at those other brands that are out there, the Yankees, Red Sox, Brewers, those are some brands that have a long shelf life. That's really what our goal was when we went into this." In a chapter of Minor League Baseball rebrands rife with irreverent and unexpected team identities such as Baby Cakes, Trash Pandas and Sod Poodles, Nashville is doubling down on its baseball roots. "We look at ourselves as being a Major League Baseball team to some degree," Nuse said. "For Nashville, closest to us is maybe Cincinnati as a Major League city? We really feel like we're a Major League city, so we try to bring that Major League look and feel to this city. Certainly something like the Sounds we would never have any interest in changing."